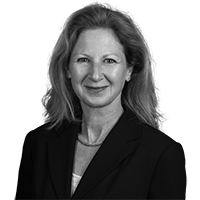 Jennifer is counsel to regional and national clients in complex acquisitions, development and permitting projects. She is experienced in all phases of the development process, including entity formation, land assembly, zoning and permitting, construction and permanent financing, and workouts/restructuring. She routinely appears before local planning boards and zoning boards of appeals. Jennifer advises clients navigating Chapter 61A issues and establishing conservation easements. Jennifer has particular expertise representing both landlords and tenants in commercial, retail and restaurant leasing. She has successfully negotiated leasing transactions for companies ranging from fitness startups, to biotech labs, to the 200,000+ square foot corporate headquarters of an international technology corporation. Prior to practicing law, Jennifer was a Certified Public Accountant with KPMG Peat Marwick’s Washington, D.C. office and The Washington Post Company. Successfully negotiated Host Community Agreement and all permitting phases to allow development of 50 unit residential community and preservation of critical open space. Counsel to owner in all aspects of downtown Boston office building sale-leaseback transaction, including assignment of securitized debt and 1031 Exchange. Represented a developer of major continuing care retirement community, including permitting of 430 acre site, $44 million first round MDFA bond financing, MGL c. 61A issues, and construction phases. Represented a developer of a suburban market office building, including land assembly, permitting, and negotiation of development contracts. Negotiating leasing transactions on behalf of both landlords and tenants including single tenant office complex, downtown and suburban office leases including expansions and workouts, retail and restaurant leases. Counsel to Boston charter school in acquisition, tax exempt bond financing and redevelopment of school campus including negotiation of construction and architectural contracts. Creating conservation restrictions for private land trusts. Represented a developer of a condominium vacation home community on Cape Cod including acquisition, financing and creation of condominium. Massachusetts Airport Managers Association, "Legal Pitfalls for Airports Roundtable", September 2018. Jennifer lives in North Reading with her 2 sons. When not cheering at their sporting events, she enjoys cycling, horseback riding and running the local trails with her dog, a rescue Munsterlander.